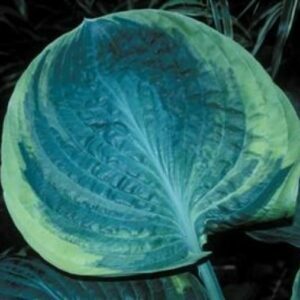 Large: Chartreuse-yellow margined. 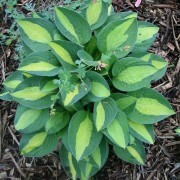 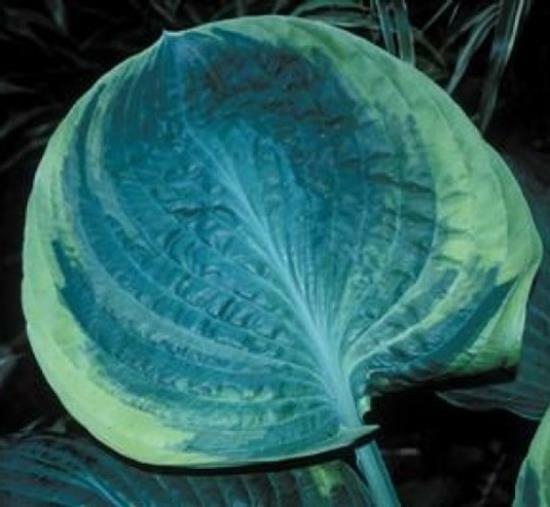 Margins, up to two inches, frame the large 12 inch blue-green leaves. 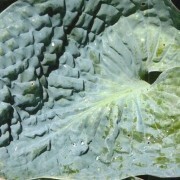 Pale lavender flowers in early summer. 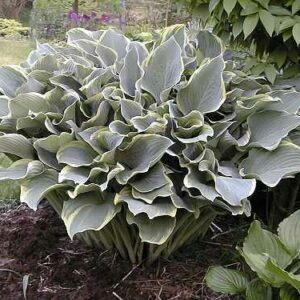 A large, imposing plant for the back of the hosta border. 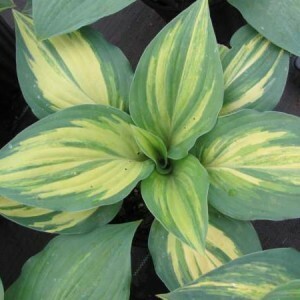 Rain Dancer Hosta – is the chartreuse-yellow margined sport of the ever popular ‘Blue Umbrellas’. 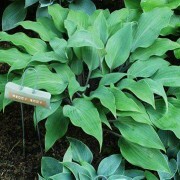 The margins, up to two inches, frame the large 12 inch blue-green leaves. 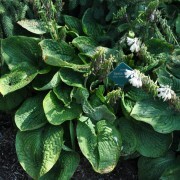 Pale lavender flowers in early summer. 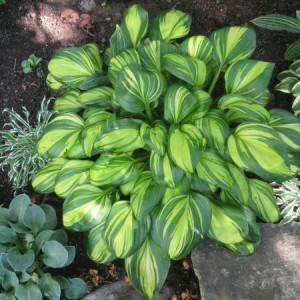 A large, imposing plant for the back of the hosta border.